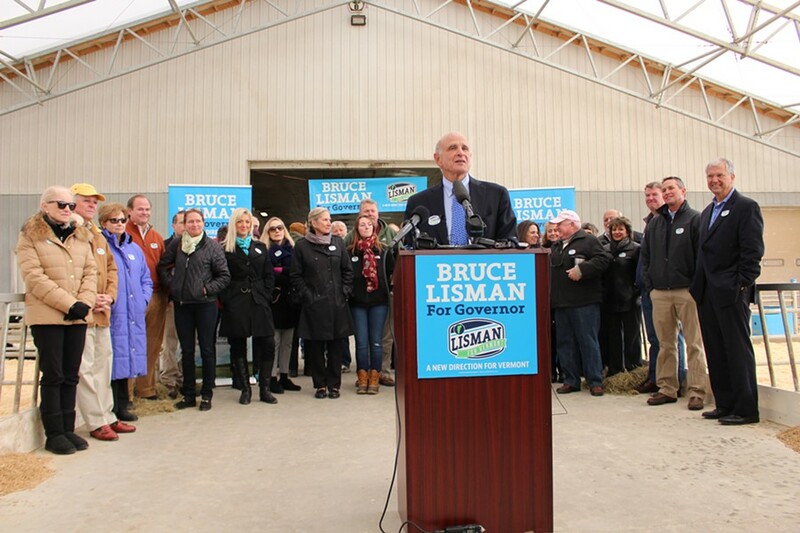 Bruce Lisman kicked off his campaign for governor Monday at Green Mountain Dairy Farm in Sheldon. Updated Oct. 20, 2015, at 9:55 a.m., with comment from the Shumlin administration. 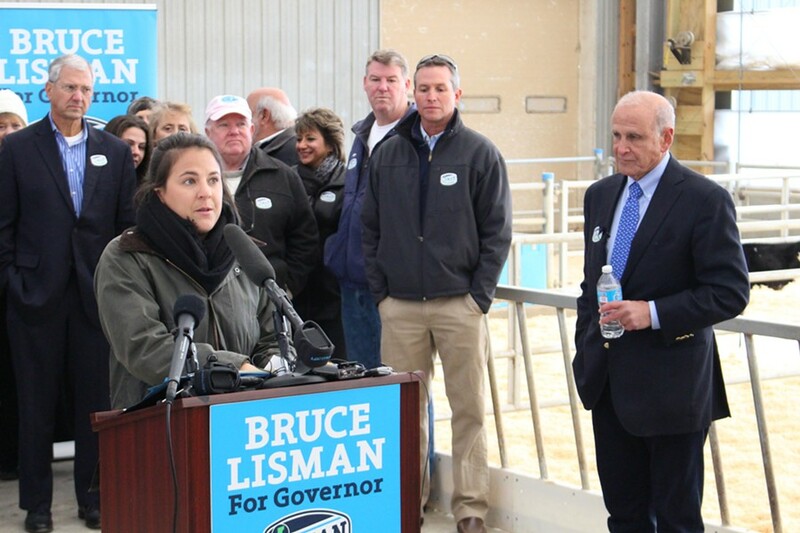 Surrounded by three-dozen supporters and a barnful of calves, retired Wall Street banker Bruce Lisman formally launched his bid for governor Monday morning with a frontal assault on the administration of Gov. Peter Shumlin. "I would say that I decided to run because, honestly, I thought this administration is so remarkably and relentlessly incompetent that we should do something," Lisman told his audience, shivering in frigid temperatures at the Green Mountain Dairy Farm in Sheldon. Characterizing himself as an outsider equipped to "fix what's wrong" and bring "a culture of change" to Montpelier, the Shelburne Republican promised to take on a state government that "has forgotten who it serves" and cut a state budget that "has become the enemy of the people and the economy." "People know that the Shumlin administration and those who aided them and those who have stood by in silence are the ones who are at fault for this mess," he said. "The people know everything." Shumlin, a third-term Democrat, announced in June that he would not seek reelection. His spokesman, Scott Coriell, responded to Lisman’s comments Tuesday by arguing that Shumlin has increased access to health insurance, early childhood education and broadband — and created thousands of new jobs by investing in renewable energy. “It takes something special for a guy who was part of the Wall Street machine that drove the economy into the worst recession since the Great Depression to talk about mismanagement,” Coriell said. 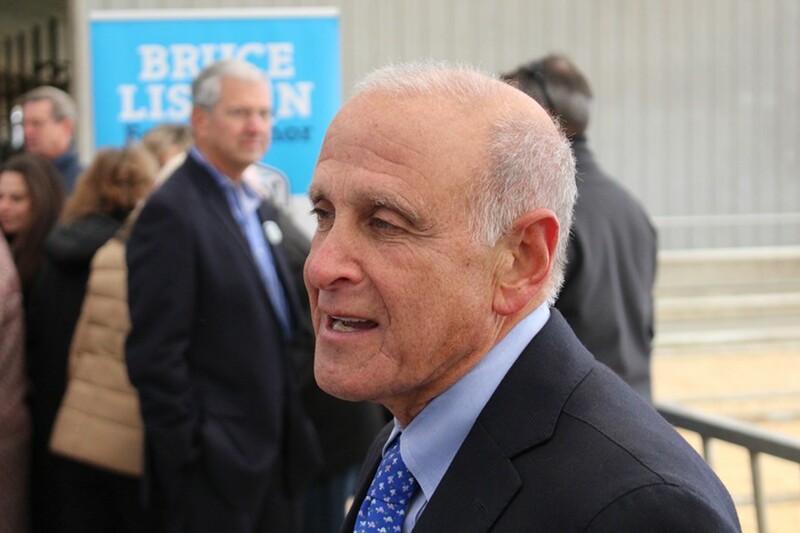 Lisman, who announced in September he'd seek the Republican gubernatorial nomination, outlined a number of policy goals he said would help stimulate Vermont's economy and improve residents' quality of life. He pledged to hold state budget growth to 2 percent a year, repeal a major school governance law passed earlier this year, impose a two-year moratorium on large-scale wind and solar development and scrap a law mandating participation in the state's health insurance exchange. But when pressed for details of those proposals, Lisman mostly punted. Asked whether he could name a single budget cut he would recommend to meet his growth target, he said, "Uh, no ... I think there's going to be a time when we can talk a lot about that, but maybe today we'll just keep it at a high level." Similarly, Lisman trashed Act 46, which requires many school districts to merge with their neighbors, as "a terrible law" and "a package of misery." But he was hard-pressed to describe an alternative approach that would slow the growth of property taxes, other than to restore local control of school budgets. And though he eviscerated Shumlin and his predecessors for failing to clean up Lake Champlain before the Environmental Protection Agency intervened, he conceded that Shumlin's plan to reduce phosphorous pollution "might be OK."
Lisman, who spent much of his career in New York City before returning to his native Vermont in 2009, took great pains to remind his audience that he grew up in Burlington's Old North End and attended public schools through his graduation from the University of Vermont. His daughter, Maggie Lisman, recalled that her mother had died of breast cancer when she and her sister were quite young, "leaving my father to raise us alone and taking on the role of both a mother and a father." "I can only imagine how difficult and daunting it must have been for him as a single parent to raise two young girls while dealing with his own grief — but he embraced it without question," said Maggie Lisman, who now works at the Shelburne Museum. Maggie Lisman introduces her father, Bruce Lisman, Tuesday in Sheldon. John Powell, a Colchester developer and lifelong friend of Lisman's, urged Vermonters to look beyond the candidate's tenure as co-head of global equities at Bear Stearns, the financial powerhouse that collapsed in 2008. "Today I have a plea that is more aimed at voters who are probably not at this gathering," Powell said as he introduced Lisman. "Please resist the easy temptation to dismiss Bruce as his opponents would suggest with the phrase, 'a successful Wall Street executive.'" Lisman himself insisted that he was not culpable for the excesses that led to the Great Recession. "Neither I nor the businesses that I ran had anything to do with any of the financial problems you read about in the press," he said. "It literally is one of the oldest businesses in the financial services area. It's been around for 50 or 60 years." In discussing Bear Stearns' global equities unit, Lisman alternated between using the past and present tenses, arguing that his division "was still running well" even as the business as a whole was sold in a fire sale to JP Morgan Chase in 2008. The latter company abandoned the Bear Stearns brand for good in 2010. Lisman's campaign will be managed by Shawn Shouldice, a contract lobbyist who represents the Vermont Energy Partnership, the National Federation of Independent Business and the Pharmaceutical Research and Manufacturers of America. She said Monday that she planned to step away from her lobbying practice to focus on the campaign. Shouldice will be assisted by field director Ben Kinsley and scheduler Ashley Slater. 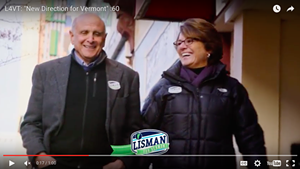 Lisman faces Lt. Gov. Phil Scott in the Republican primary. Democratic candidates include former senator Matt Dunne, former transportation secretary Sue Minter and House Speaker Shap Smith (D-Morristown).